31.07.2008. I alluded to it last week, but it’s now official! 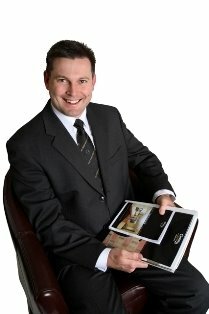 I am very pleased to announce the dawning of a new era for CENTURY 21 Westside as Phill Broom and Jocelyn Frost join me as partners in the business from 1st August, 2008. This date marks the third anniversary (to the day!) of Phill joining the business, and many of you would have experienced his exceptional skills and professionalism over that time. Combined with his formal qualifications in banking and finance and his extensive experience in international sales and marketing, Phill’s formidable business acumen offers exciting opportunities for the business moving forward. A native of the Westside, we are thrilled to welcome Jocelyn Frost “back home” after an extraordinarily successful sojourn to Redland Bay when she honed her Real Estate sales skills and became the number one Century 21 agent in Queensland for the past two years. Having also previously run a 350 strong sales team, Jocelyn brings seemingly unlimited drive and enthusiasm to the table, and completes our executive team. At CENTURY 21 Westside, we have always been proud of our point of difference in being a Real Estate Business, rather than just a traditional “cottage industry” style agency. The core of our operation is the business itself, which brings with it all those things that are vital to being an industry-leading business – professional integrity, ongoing training, market expertise, accountability, transparent ethics and profit-sharing. Consequently, we are consistently and extraordinarily successful in achieving the best possible results. And those results extend beyond the happy Buyers and Sellers we help to move, and beyond the accolades afforded are terrific team, to industry and commercial acknowledgement of our successful business practices. In recent times, we have been honoured to receive acknowledgement from: the Quest Business Achievers Awards (Finalists for the last 4 years and Winners in 2005 and 2007); the BRW Fast Starters List (Top 100 in 2008); and the REIQ Top Agency of the Year (Finalist in 2008). So, together with our exceptional team of professionals, Phill, Jocelyn and I look forward to helping you make your next move a Smart Move. Until next week…..